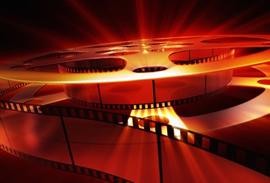 Louth cinema listings with daily movie schedule and links to book online. We have most reliable film times for Louth. The IMC - Dundalk has 7 screens available showing some top movies. Current films include Shazam!, Avengers: Endgame, Missing Link, Little, Hellboy, Wonder Park, Pet Sematary. The The Arc Cinema - Drogheda has 6 screens available showing some top movies. Current films include Peppa Pig: Festival of Fun, Little, Avengers: Infinity War in Disney Digital 3D, Hellboy, Wonder Park, Missing Link, Pet Sematary. The An Táin Arts Centre has 1 screens available showing some top movies. Current films include Penguin Highway, One Cut of the Dead (Kamera wo tomeruna! ), Mirai (Mirai no Mirai). The Omniplex - Dundalk has 7 screens available showing some top movies. Current films include The LEGO Movie 2: The Second Part, Shazam!, Wild Rose, Greta, Captain Marvel, Avengers: Infinity War, Avengers: Endgame. The Droichead Arts Centre has 1 screens available showing some top movies. Current films include Wajib.